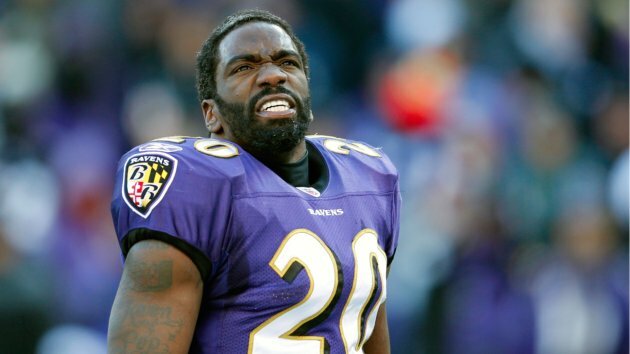 Baltimore Ravens safety Ed Reed has battled injuries in recent seasons, prompting him to take a year-by-year approach to his playing career. 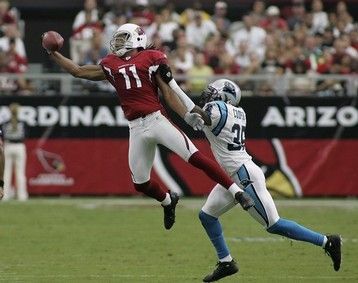 After leading the NFL in interceptions in 2010, despite playing in just 10 games, Reed started all 16 games in 2011 and recorded three interceptions to bring his career total to 57. Last month, Reed told general manager Ozzie Newsome that he intends on playing another season, a stance he reiterated while being inducted to the University of Miami Sports Hall of Fame on Thursday night. "There's a lot of talk out there," Reed said according to the Sun-Sentinel. "I'm not going to say I'm 50-50 because I'm not. I want to play football. But it's something me and my team have been discussing the last couple of weeks. "I plan on doing it, but depending, it could change." The Ravens would like to have the 33-year-old Reed back, though perhaps at a salary lower than $7.2 million and a cap number lower than the $8.5 million Reed is scheduled for in 2012, the final year of his current contract. The Washington Redskins traded three first round picks and a 2012 second round pick to the St. Louis Rams to move up to the No. 2 pick, so it's no surprise that the team views Andrew Luck and Robert Griffin as being franchise quarterbacks. "We think we got a franchise quarterback with one of the [top] two picks, and that gives you a chance to reach your goal," Shanahan said during Wednesday's league meetings according to Mike Jones of The Washington Post. "They don’t fall off trees." Luck is expected to go No. 1 to the Indianapolis Colts, leaving Griffin for the Redskins with the No. 2 pick. 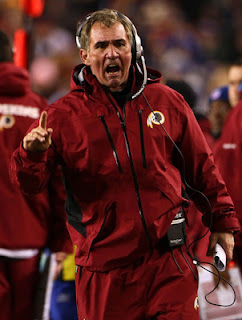 That would be just fine to Shanahan. "This guy is bright. This guy is passionate. He’s got everything you look for," Shanahan said of Griffin. "When you take a guy (like Luck), who's 6-4, that's 240 (pounds) and can run a 4.6 forty, that guy can move pretty good. And obviously with Robert, running a 4.4 or under, usually guys that are that fast can't throw. And he can do both." The lawsuit filed by Nike against Reebok arises from a fairly simple set of facts. Nike contends that, as of March 1, 2012, the group licensing agreement between Reebok and the NFLPA expired. Since Tebow’s own personal show/apparel deal was negotiated with Nike in 2010, Nike claims that Reebok had no right to use Tebow’s name when manufacturing and selling Jets T-shirts and jerseys last week. There’s no middle ground on this issue. Either Reebok had the right to sell jerseys with Tebow’s name on them, or Reebok didn’t. Which explains why a judge has granted a temporary restraining order blocking the sale of the Reebok Tebow jerseys, according to Darren Rovell of CNBC. The TRO is based on the information provided by Nike. At some point, Reebok will have a chance to be heard. 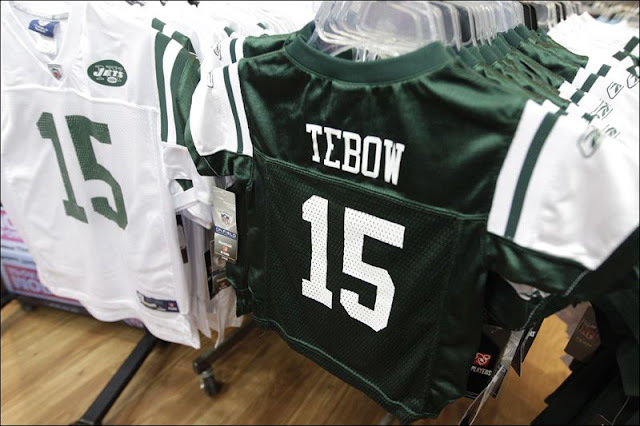 Until then, Reebok must stop making and/or selling Tebow jerseys. The NFL apparently hasn’t gotten the memo yet; as of this posting, Reebok-manufactured Tebow jerseys continue to be available for sale via the NFL’s official online store. Tebow also has been involved in this battle between billion-dollar shoe and clothing companies. The case presented by Nike includes an allegation in its 19-page complaint that, as of Friday, March 23, an “authorized representative of Tebow” sent a letter to Reebok informing the company that it had no right to use Tebow’s name on any Reebok-manufactured products. As of Monday, March 26, Reebok allegedly did not respond. As the Saints face the imminent suspension of their head coach for a full season and amid reports that coach Sean Payton wants his mentor, Bill Parcells, to take the reins, both men are suddenly tiptoeing around the topic — which could mean that there’s a lot more to the possibility of Parcells taking the job than anyone realizes. In other words, possibly, the Saints need to interview at least one minority candidate if the interim hire is going to come from outside the organization, so they’d better throw some water on this talk until they find someone who won’t think that it’s a sham. That’s fine, but it cuts against the multiple reports that Payton wants Parcells, and that Parcells may be warming up to the possibility. Parcells told Myers that he couldn’t say what he would do because he has received no offer, and Parcells didn’t rule out the possibility of replacing Payton during Payton’s suspension. And so it’s possibly only a matter of time before Parcells is referring to someone on the Saints roster as “she”. Jacksonville Jaguars owner Shahid Khan said Monday at the NFL owners meetings that bringing quarterback Tim Tebow to the club when that was not his preference, would have been "counterproductive." "That would have been the worst thing for Jacksonville and the worst thing for him," Khan told the Florida Times-Union. "He didn’t want to come, obviously. … Any one of the 53 players we have, have to be committed to Jacksonville, making us be the best team we are. The question was: Did he want to come? And if the decision had been taken out [of his hands] and we got him, that would not be good for him, or for us." 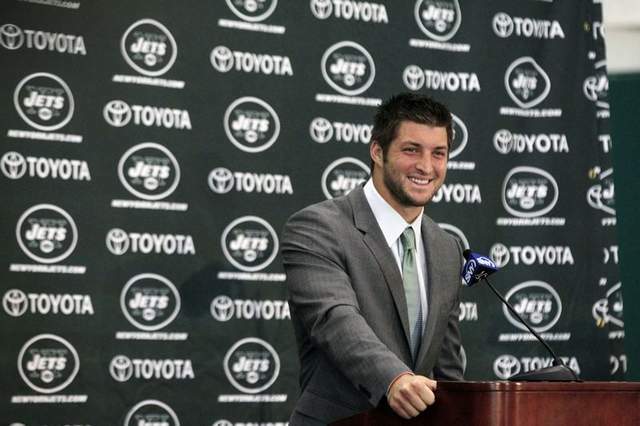 Tebow stated at his Monday press conference that his preference was to play for the New York Jets because he believed to coaching staff was more committed to him being there. Khan said the Jaguars began contacting the Broncos when Denver became the frontrunner to land Peyton Manning, and that the Jags were serious about trying to bring him to Jacksonville. 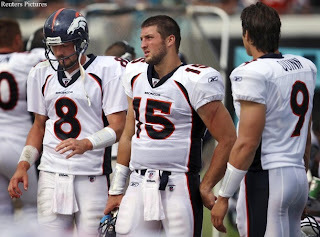 The report also states that the Broncos were quietly shopping Tebow as far back as the NFL Combine last month, even before the Indianapolis Colts parted ways with Manning and at a time when the Broncos were speaking of being committed to Tebow. The Chicago Bears have agreed to terms on a four-year contract with free agent running back Michael Bush, Mike Florio of ProFootballTalk.com reports. According to Brad Biggs of the Chicago Tribune, the deal is worth $14 million and contains $7 million in guarantees. 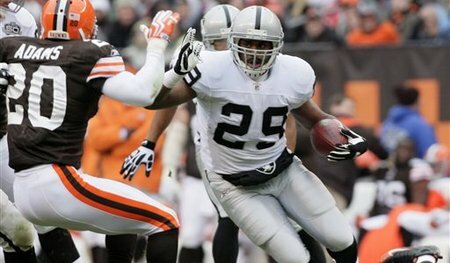 Bush was a fourth round pick out of Louisville by the Oakland Raiders in 2007. After missing his rookie season due to a leg injury from college, Bush has 632 carries for 2,642 yards and 21 touchdowns over the last four seasons. Bush had a career-high 977 rushing yards and 37 receptions for 418 receiving yards last season and has scored 15 rushing touchdowns over the last two seasons. The 6-foot-2, 243-pound Bush will complement the more slightly-built Matt Forte, who received the franchise tag from the Bears last month. Forte has rushed for 4,233 yards and 21 touchdowns with 223 receptions for 1,985 yards and eight touchdowns during his career, but is coming off a left knee injury that prematurely ended his 2011 season. 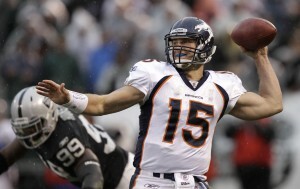 The Denver Broncos have officially announced the trade of quarterback Tim Tebow to the New York Jets. Agreed to earlier in the day, the trade -- which also involved a Broncos seventh round draft choice going to the Jets for a fourth and sixth round pick -- was held up due to language in Tebow's contract pertaining to the repayment of the 2012-14 portions of a 2011 salary advance. According to ESPN's Adam Schefter, instead of repaying the Broncos the full amount, the Jets will repay half of the $5,063,750 million total. "Our goal was to do the best thing for Tim and the Broncos, and I believe the opportunity that presented itself with the New York Jets accomplishes that objective," Broncos Executive Vice President of Football Operations John Elway said in a statement. 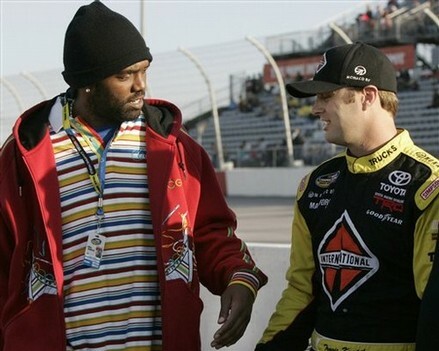 "Tim made a lot of strides last year and has a very promising career ahead of him. If anyone is willing to put the work in to be great, it’s Tim Tebow. "I have a great deal of respect for Tim and the positive impact he makes both on the field and in the community. He has a bright future in this league, and I’m hopeful he will enjoy continued success with the Jets." The Jacksonville Jaguars, Tebow's hometown team, was also interested in acquiring Tebow. The prodigal son may indeed be returning home. Jacksonville native Tim Tebow, soon to be shipped out of Denver, supposedly says he wants to play in Florida. And one of the teams in Florida reportedly is very interested in making that happen. Michael Lombardi of NFL Network reports that the Jaguars have “serious interest” in trading for Tebow. Given that G.M. Gene Smith is widely believed to be a non-believer in Tebow, it’s safe to say that the interest comes from, well, on high. New owner Shahid Khan has said he would have drafted Tim Tebow in 2010. Now, Khan has a chance to put his money where his mouth is. And in turn to make a whole lot of money. An ownership-driven decision to force Tebow onto the roster also could drive a wedge between Smith and Khan. Already, we’ve caught wind of rumors that the two men aren’t clicking the way they should — and there’s talk in league circles that Smith may not be around after the draft concludes. If Tebow time comes to Jacksonville, Smith may not want to be. Free agent quarterback Peyton Manning will sign with the Denver Broncos, ESPN's Chris Mortensen reports. Following his release from the Indianapolis Colts, the Broncos were the first team that Manning met with, spending two days in Dove Valley, Colorado with executive vice president John Elway, general manager Brian Xanders, head coach John Fox and offensive coordinator Mike McCoy. 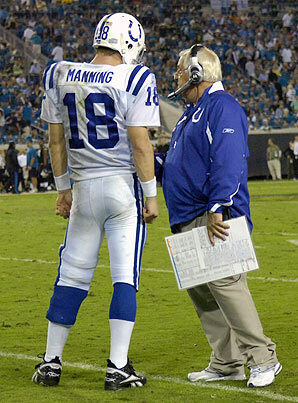 Manning had subsequent visits with the Arizona Cardinals, Miami Dolphins, Tennessee Titans and San Francisco 49ers, but the Broncos have remained the front-runners for the services of the 11-time Pro Bowler and four-time NFL MVP who has passed for over 50,000 yards and 399 regular season touchdown passes. Denver has a solid defense and offensive line and showed a willingness last season to tailor the offense around the strengths of their quarterback. Manning had already informed the Dolphins and Seattle Seahawks, who expressed interest in Manning, that he wouldn't be joining them. Both teams focused their quarterback search on Matt Flynn and Alex Smith, with the Seahawks signing Flynn and the Dolphins engaging in negotiations with Smith, who had hoped to return to the 49ers on a three-year deal before the start of free agency. According to the report, Manning told Elway of his decision this morning and began informing the finalists of his decision. 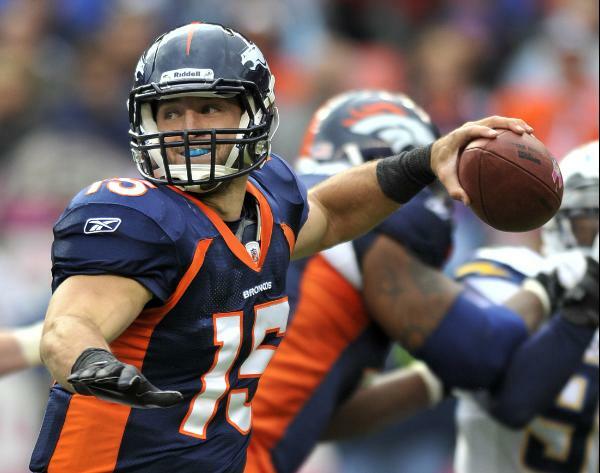 The Broncos already have a high-profile quarterback in 2010 first-round pick Tim Tebow, who led the team to the Divisional Round of the AFC Playoffs last season. ESPN's Adam Schefter reports the Broncos will attempt to trade Tebow. 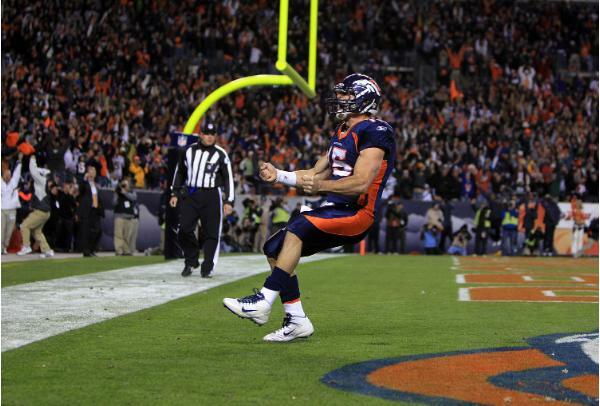 Tebow is under contract through the 2014 season and is scheduled to earn $1.15 million in base salary with an attractive cap number of $2.719 million this season. Tebow has has triggered base salary escalators in the final two years of his rookie contract that has added $5.425 million to his 2013 salary (which now stands at $6.055 million) and $6.415 million to his 2014 salary (which is now $7.145 million), which are not "backup quarterback" numbers. The Dolphins under owner Stephen Ross not long ago seemed like a large man with a big bat who simply couldn’t connect on a high and tight fastball. Now, perhaps Ross and the Dolphins are a little kid swinging a cracked broom at a piñata that is hanging too high for him to reach. Free-agent quarterback Matt Flynn, who set on January 1 a Packers franchise record with 480 passing yards, has agreed to terms with the Seahawks, according to Adam Schefter of ESPN. Schefter reports that Flynn will sign a three-year deal worth up to $26 million, with $10 million guaranteed. Tom Silverstein of the Milwaukee Journal Sentinel reports that the deal has a base value of $19 million. The maximum annual value of less than $9 million reflects some skepticism regarding Flynn’s ability to get it done as the week-in, week-out starting quarterback. And the “up to” means that the deal includes incentive payments, likely based on whether he plays. There’s no guarantee he will. Tarvaris Jackson has a year as the starter, and six total years in the system that Seahawks offensive coordinator Darrell Bevell uses. And so it’ll be harder for Flynn to get to the field in Seattle than it would have been in Miami. And yet he chose that over a reunion with former Packers offensive coordinator Joe Philbin, now the head coach wih the Dolphins. Maybe the Dolphins really did lowball Flynn, thinking he’d take less to be with Philbin. Maybe Flynn, like Jim Harbaugh and Jeff Fisher and Peyton Manning, decided not to be a Dolphin. Either way, it puts the Dolphins in even more of a bind. Their best bet now will be to acquire the starter that gets bumped by Peyton Manning: Alex Smith, Tim Tebow, or Matt Hasselbeck. Or maybe to make a Hail Mary effort to get back into the Peyton chase. 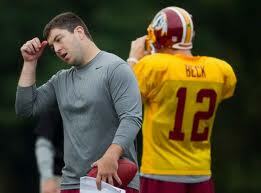 Although he’s no longer in the team’s plans as the long-term starter, Rex Grossman will stay with the Redskins for another season. A league source tells PFT’s Mike Florio that Grossman has agreed to a one-year deal with the Redskins. The move means Grossman will serve as the veteran backup and mentor to Robert Griffin III, who will surely go to the Redskins with the second overall pick, and perhaps start early in the season if the Redskins don’t think Griffin is ready to go in Week One. Grossman arrived in Washington in 2010 as the backup to Donovan McNabb but ended up replacing McNabb as the starter late in the season. He then started 13 games in 2011, completing 265 of 458 passes for 3,151 yards, with 16 touchdowns and 20 interceptions. Free agent quarterback Peyton Manning has informed the Miami Dolphins that they are out of the running for his services, Jeff Darlington of the NFL Network reports. According to Darlington, Manning personally called the team to inform them that he will not be signing with their franchise. Manning's short list of teams he's considering playing for are the Denver Broncos, Arizona Cardinals and Tennessee Titans. Manning is working out in the Raleigh-Durham area, trying to regain full strength in a right arm that has passed for over 50,000 yards and 399 regular season touchdowns. 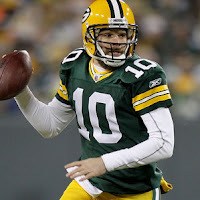 With Manning out of the picture, the Dolphins are expected to turn their attention to Matt Flynn, a former Green Bay Packers seventh-round pick who has backed up Aaron Rodgers the last few years. Flynn has limited experience, but has worked with Dolphins head coach Joe Philbin, who was the Packers offensive coordinator up until landing the Miami job in January. Another option is Texas A&M quarterback Ryan Tannehill, who played for Dolphins offensive coordinator Mike Sherman the last few seasons. The Dolphins hold the eighth pick in the draft, which is right around where Tannehill will likely be picked. Flynn will head to Miami following his visit with the Seattle Seahawks, where former Green Bay Packers personnel executive John Schneider is now general manager. Dolphins head coach Joe Philbin was the Packers offensive coordinator prior to landing the Miami job. Miami has been in the hunt for Peyton Manning, meeting with him in Indianapolis earlier this week, but their chances of landing the four-time NFL MVP are "dwindling", Schefter adds. A 2008 seventh-round pick out of LSU, Flynn has completed 82-of-132 (62.1 percent) pass attempts for 1,015 yards with nine touchdowns and five interceptions in limited action, but set a Packers single-game record with six touchdown passes in the regular season finale against the Detroit Lions. The 26-year-old is regarded as the No. 2 quarterback on the free agent market. Peyton Manning may not have to engage in an official Pro Day-style throwing session for the teams interested in his services, but that doesn't mean he hasn't been throwing the ball around of late. Receiver Brandon Stokley, who played with Manning in Indianapolis from 2003 through 2006, and has been one of the guys Manning's thrown to in his recent workout sessions at Duke University, told a very interesting story about the workout Manning wanted to get in Denver last Saturday morning, while he was visiting the Broncos' facility. Stokley had a place all picked out for the informal game of catch -- a park by his Denver home. "I packed my son and his friend [in the car], and my son is walking out the door with his Peyton Manning jersey on," Stokley told Denver radio station KKFN on Tuesday. "I said, 'Wait a second, -- I think you need to change the jersey.' He said, 'What jersey? Can I put on Brett Favre?' 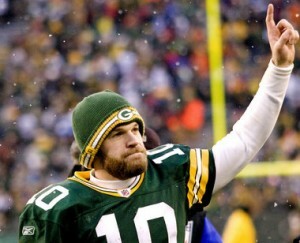 I said 'No, no Brett Favre.' So he put on his Victor Cruz jersey and we get into the car and we're going to the little field I had picked out and we're driving up there with three balls and we're ready to go." After Stokley sorted out his son's replica jersey issues, his plan was further scuttled when he and Manning arrived at the field, only to find a bunch of kids playing lacrosse on it. "Who plays lacrosse at 8:00 in the morning? So, I have no Plan B. Every field in Denver is going to be taken now. Like, 'What am I doing? I'm supposed to have this taken care of. This is my one job to have taken care of and I'm screwing it up.' We drive back to the house and I'm like 'Well, I guess we can throw it in the driveway because we just want to play catch.' We start throwing in the driveway and it's good. I mean, I can't run routes or anything, but he's getting some good throwing in." Fortunately, Stokley's better half stepped in with Plan B. "Then my wife, being the brilliant person she is, realizes we have a little field in our neighborhood that would just be perfect. Out and about, nobody can see us. So we head over to that field, just me and him, and we're ducking and dodging the joggers and bicycle people. Every time somebody rides by in a bike one of us puts the ball under our shirt and just turns the other way. We ended up getting some good work in, probably about 35 or 40 minutes, and nobody recognized us or anything, so it was great." According to Stokley, Manning looks NFL-ready from a throwing standpoint. "I think he looks as good as he has ever looked to me. I think he is back to normal. I thought he looked great a week and a half ago when I was with him, and we threw for three straight days. He had thrown two straight days previous, so that's five days in a row. He looked great doing that and he looked even better when he threw it to me on Saturday. He looked even better then, and he had three or four days off where he hadn't thrown at all. To me he looks like he did six years ago." We'll see if that's the case, but just a quick note to all you early morning joggers and bicyclists in Denver -- you may have seen a major NFL story, and not even known it. The Chargers lost free agent Vincent Jackson to the Tampa Bay Buccaneers on Tuesday evening, but G.M. A.J. Smith countered with a move early Wednesday morning that will keep his team competitive at wide receiver. 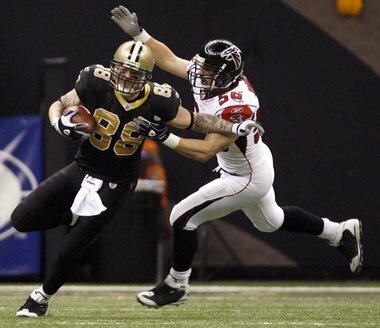 The club announced that it has signed deep threat receiver Robert Meachem, formerly of the Saints. Per Michael Gehlken of the Union-Tribune San Diego, Meachem’s deal is for four years and $25.9 million, with $14 million guaranteed. A rotational receiver in New Orleans, Meachem should become an every-down wideout with San Diego. He is a downfield threat with sub-4.4 speed, fitting coach Norv Turner’s vertical offense. Meachem figures to start opposite Malcom Floyd, with 2011 third-round pick Vincent Brown manning the slot. The San Francisco 49ers have reached agreement on a one-year deal with free agent wide receiver Randy Moss, ESPN's Adam Schefter reports. Moss, 35, worked out for the 49ers at their facility on Monday. Financial terms were not disclosed. Selected in the first round of the 1998 NFL Draft out of Marshall by the Minnesota Vikings, Moss has 954 receptions, 14,858 yards and 153 touchdowns, earning six trips to the Pro Bowl and four first-team All-Pro honors. Moss ranks ninth all-time in receptions, fifth in receiving yards and is tied with former 49ers wide receiver Terrell Owens for second in touchdown receptions. Moss spent the 2005 and 2006 seasons in the Bay Area after he was traded by the Vikings to the Oakland Raiders. Moss caught 102 passes for 1,558 yards with 11 touchdowns in 29 games for the Raiders before he was dealt to the New England Patriots in 2007. The lack of a field-stretching wide receiver on the 49ers was evident in their NFC Championship Game loss to the New York Giants. Michael Crabtree had the only reception by the team's wide receivers in that game, a three-yard reception late in the fourth quarter, and the team could lose starter Josh Morgan to unrestricted free agency. Contacted by a dozen teams after his name appeared on the NFL's internal personnel notice, free agent quarterback Peyton Manning has narrowed the list of teams he's considering playing for, ESPN's Chris Mortensen and Adam Schefter report. Manning met with the Denver Broncos on Friday and will meet with the Arizona Cardinals on Sunday. The report also states the Seattle Seahawks have been attempting to arrange a meeting with Manning, but have been unable to get one. The Miami Dolphins, the presumptive favorites for Manning's services given owner Stephen Ross' financial interest in making it happen and the organization's locale, both in terms of weather and conference, may not be as high on Manning's list as originally thought, with the report stating that Manning is "leading towards Denver". Broncos owner Pat Bowlen flew back to Denver from his home in Hawai'i and is financially committed to landing Manning. The Broncos are an appealing option as they have an excellent defense, solid offensive line and last year showed a willingness to adapt their offense around the skills of their quarterback. Still, it's hard to see the Dolphins being relegated to the "show" position in the race for the former Colt and not think that teams in a cold-weather city (Denver), and in the same conference as his brother Eli (Arizona), are being used to leverage a better deal in Miami. Manning has a condo in Miami, his wife reportedly likes it there, the team is willing to let key free agents walk in order to have the cash and cap space available to sign Manning and free agent receiver Reggie Wayne, Manning's top target the last few years who played at the University of Miami and who also lives in the area in the off-season. Ross has swung wildly missed on his targets before (see Harbaugh, Jim and Fisher, Jeff), so it's certainly possible that it could happen again. But once Manning meets with the Dolphins, sees their commitment to landing him, I still think he ends up in Orange & Teal. Cardinals receiver Larry Fitzgerald said today that he’s curious about the potential Peyton Manning landing in Arizona, but he has no inside information. There have been reports going back weeks that Fitzgerald could be involved in luring Manning to Arizona, but in an interview with the Cardinals’ website, Fitzgerald said no one has told him anything. In that respect, Fitzgerald is far from alone. There are players on about a dozen teams eager to see whether Manning ends up in their locker room. So much for Friday nights being slow. As the Broncos chase Peyton Manning and the Redskins catch Robert Griffin III, the Jets have decided to keep their current quarterback. Jay Glazer of FOX Sports reportedly earlier in the evening that the Jets are out of the Manning derby. Rich Cimini of ESPNNewYork.com reports that the Jets have actually extended the contract of quarterback Mark Sanchez. It’s a three-year extension, which puts Sanchez under contract for five total seasons. Still, until we see the dollars involved, we won’t believe it’s a genuine extension. Instead, it may be nothing more than a public show of support — in lieu of the usual public show of support that consists of saying one thing before doing another. The truth will be in the details, starting with how large of a check the Jets cut Sanchez when he signed a name other than “Peyton Manning” to the new contract. 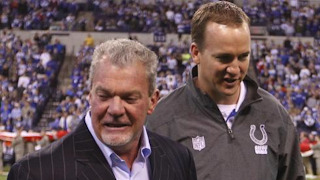 The Dolphins would be wise to offer Peyton Manning more money, because their Plan B has now evaporated. Glazer says that the teams will swap first-round picks in 2012, with St. Louis taking the No. 6 pick. The Rams also get two future first-round picks and additional selections, one of which is believed to be a second-rounder. The trade can’t be finalized until the new league year begins on Tuesday at 4:00 p.m. ET. On Thursday afternoon, Chris Russell of ESPN 980 in Washington (a radio station owned by Redskins owner Daniel Snyder) reported that quarterback Peyton Manning has informed the Redskins that Peyton isn’t interested in joining the team. A source with knowledge of the situation disputes that account, telling PFT that Manning has not told the Redskins to take his name off their wish list. So Manning hasn’t told the Redskins he’s out, but that doesn’t mean he’ll eventually pick the Redskins. It also doesn’t mean he’s genuinely interested. I continue to believe he isn’t, and that he won’t be. Though it seems a little silly to avoid the entire conference out of deference to Eli, it’s hard to imagine Peyton joining the NFC East. 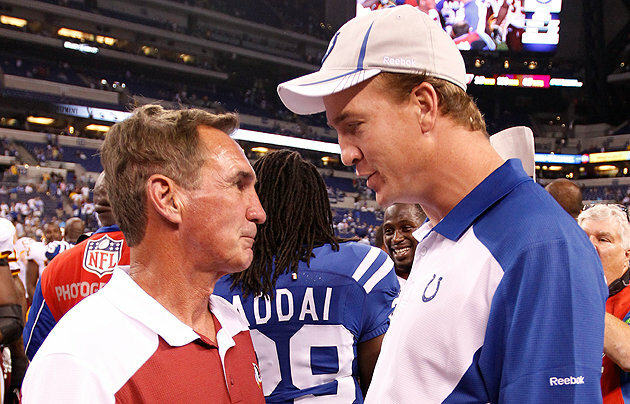 And it’s hard to imagine Peyton coexisting with Kyle Shanahan, since each guy will want to run the offense. And it’s hard to imagine Peyton not having a case of bitter beer face at that thought of playing at FedEx Field the day after the turf gets torn up by a pair of college teams. Still, for now, he hasn’t said no. In time, he likely will. And while we don’t doubt that someone within the organization told Russell that Manning has told the team “thanks” and “no thanks,” it’s hard not to wonder whether the Redskins are trying to slide off the radar screen, in the hopes of swooping in and snatching Manning. 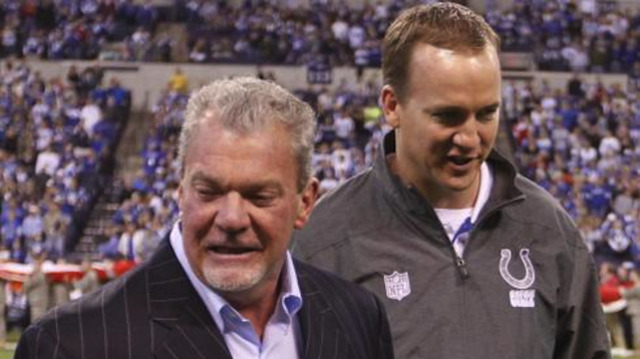 Even before Peyton Manning appeared on the NFL's internal personnel notice this afternoon, speculation was rampant about his next destination. After his final press conference with the Indianapolis Colts, Manning boarded a private jet bound for a return to South Florida, where he's residing this off-season. Miami Dolphins owner Stephen Ross is very interested in signing Manning and free agent wide receiver Reggie Wayne, Manning's longtime receiver and a University of Miami product, and Manning's arrival was greeted with blanket coverage by the local media. The Seattle Seahawks reportedly sent out feelers on Manning and the New York Jets are not hiding their interest in the four-time Most Valuable Player. 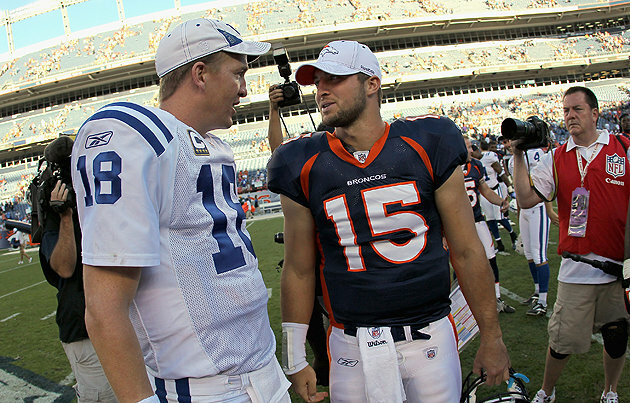 Mike Klis of The Denver Post reports the Denver Broncos will inquire about Manning, but are likely to stick with 2010 first-round pick Tim Tebow and calling the Broncos "the longest of longshots" to sign Manning. Mike Florio of ProFootballTalk.com reports that there's a belief the Broncos are positioning themselves to make a major push for Manning, which is supported by a CBS4's Vic Lombardi report that the Broncos have already called on Manning and are "SERIOUS players" for the future of Hall of Famer, with head coach John Fox and President John Elway able to sell Manning on the team's vaunted running game powered by a stable offensive line. As for Tebow, he could either request a trade or sit behind Manning and be used in certain packages, possibly as a versatile running back or H-Back. Tebow is under contract through the 2014 season and is scheduled to earn $1.15 million in base salary this season with a small cap number of $2.719 million. Tebow has triggered base salary escalators in the final two years of his rookie contract that has added $5.425 million to his 2013 salary (which now stands at $6.055 million) and $6.415 million to his 2014 salary (which is now $7.145 million), which are not "backup quarterback" numbers. According to a staff report in the New York Post, the New York Jets "will definitely consider" signing quarterback Peyton Manning once he's released by the Indianapolis Colts. 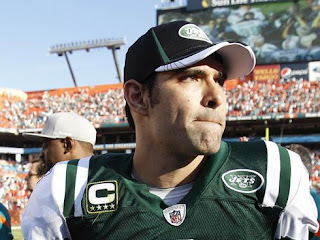 Jets quarterback Mark Sanchez has started 47 of a possible 48 games since being chosen with the fifth overall pick of the 2009 NFL Draft, but has yet to post a passer rating above 80 over the course of a full season. With the New York Giants, led by Manning's younger brother Eli, winning two Super Bowls over the last five seasons, the pressure is on the Jets to deliver on head coach Rex Ryan's Super Bowl guarantees from recent seasons. Sanchez is due $8.5 million in base salary, a $2.75 million roster bonus and $500,000 workout bonus in 2012 and has the team's highest cap number at $14.253 million. Adding Manning would make Sanchez a very expensive backup, though a trade or release of Sanchez is possible. Albert Breer of the NFL Network reports that the Jets, as well as the Seattle Seahawks, have done research and discussed adding Manning, who missed the 2011 season after undergoing four surgical procedures on his neck in the last two years. 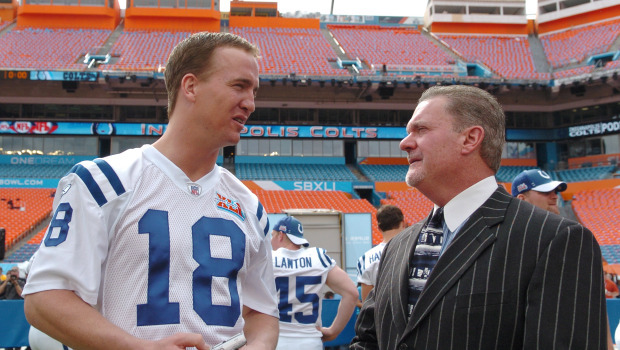 The Miami Dolphins are believed to be very interested in Manning, who has a home in South Florida and had been meeting with owner Jim Irsay in Florida before returning to Indianapolis on Tuesday night. The Arizona Cardinals, Washington Redskins, San Francisco 49ers and Kansas City Chiefs may also have an interest in the four-time MVP. New England Patriots wide receiver Wes Welker has officially received the franchise tag, Greg Bedard of The Boston Globe reports. Using the franchise tag allows the two sides to continue talks towards a long-term extension. The deadline to do so is July 15. 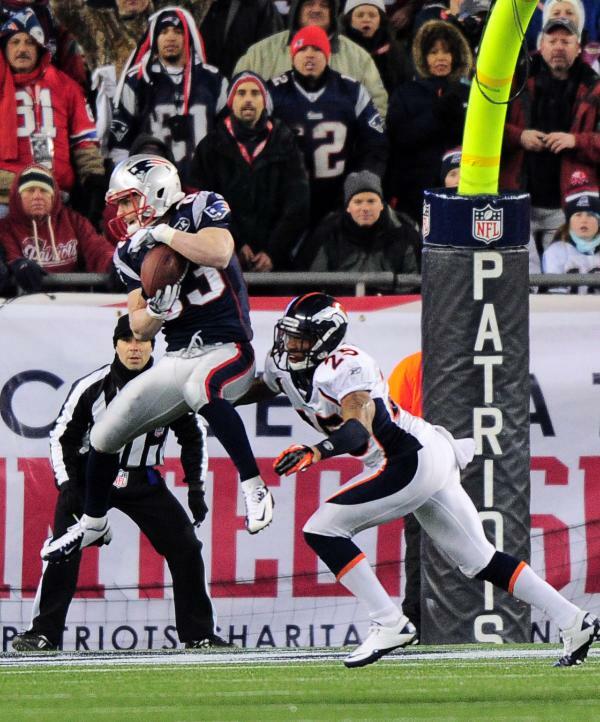 Welker led the NFL in receptions (122) and was second behind Detroit's Calvin Johnson in receiving yards (1,569) in 2011, earning a fourth straight trip to the Pro Bowl. Since joining the Patriots as a restricted free agent in 2007, Welker has 554 receptions -- four shy of becoming the franchise's all-time leader -- for 6,105 yards and 31 touchdowns. Welker earned $2.5 million in 2011 and would receive a substantial raise with the franchise tender, which is projected to be worth $9.443 million in 2012. With Baylor quarterback Robert Griffin III establishing himself as the "1B" prospect in the 2012 NFL Draft, the St. Louis Rams, who already have their quarterback of the future and have several areas of need on the roster, are looking to trade out of the No. 2 slot. The new collective bargaining agreement limiting the financial costs of signing Top 5 picks should make that process easier and there is no shortage of interested parties. 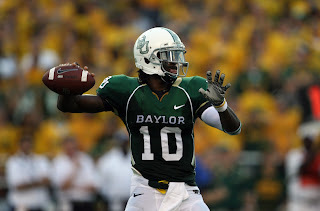 The Cleveland Browns, Washington Redskins and Miami Dolphins all have an interest in Griffin and moving up to do so. St. Louis is reportedly looking for two first round picks as well as a pair of other "high round" draft choices, a package similar to what the New York Giants traded to the San Diego Chargers to acquire Eli Manning during the 2004 NFL Draft. According to Jim Thomas of the St. Louis Post-Dispatch, the Browns, who have two picks in the first round of this year's draft, would part with the No. 4 overall pick, but are not willing to part with the latter of the two picks, the 22nd overall pick they acquired from the Atlanta Falcons as part of the Julio Jones trade last year. Thomas adds the Redskins are willing to send the Rams a pair of first round picks, including the No. 6 pick in this year's draft, but are not willing to part with their 2012 second round pick. The Dolphins, who lost out on Jeff Fisher, and Seattle Seahawks, a division rival, are unlikely trade partners for the No. 2 pick. The New Orleans Saints have placed the franchise tag on quarterback Drew Brees, Jay Glazer of FOXSports.com reports. Mike Florio of ProFootballTalk.com reports the Saints have used the "exclusive" tag, which will prevent Brees from talking to other teams. If a long-term extension is not reached, Brees' 2012 salary will be the average of the five largest salaries at the quarterback position at the end of the restricted free agent signing period. As of right now, and assuming that Peyton Manning is not among the top five highest-paid quarterbacks on his new contract, the average of the top five quarterbacks is $15.76 million. Had the Saints used the "non-exclusive" tender, Brees would have earned $14.374 million in base salary in 2012 if no extension is reached. Reports out of New Orleans had been that the two sides remained $5 million per year apart in talks towards a new contract. Brees is likely seeking a contract at or exceeding the $18 million per year level that New England Patriots quarterback Tom Brady and Peyton Manning received in recent seasons with around $50 million in guarantees. Brees is coming off one of the most impressive passing seasons in NFL history, setting a single-season NFL record with 5,476 yards and leading the league with 46 touchdown passes. 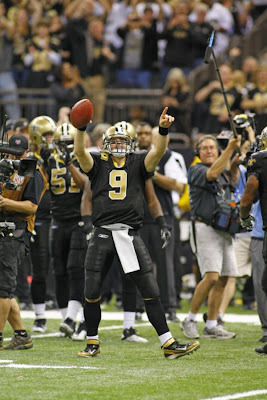 Since signing with the Saints as a free agent in 2006, Brees has passed for 28,394 yards with 201 touchdowns and 93 interceptions, earning five trips to the Pro Bowl and leading the Saints to their first Super Bowl win in franchise history. That the Saints have had to resort to the franchise tag is a bit of a disappointment, as it means the club could lose wide receiver Marques Colston and/or Pro Bowl guard Carl Nicks to free agency. 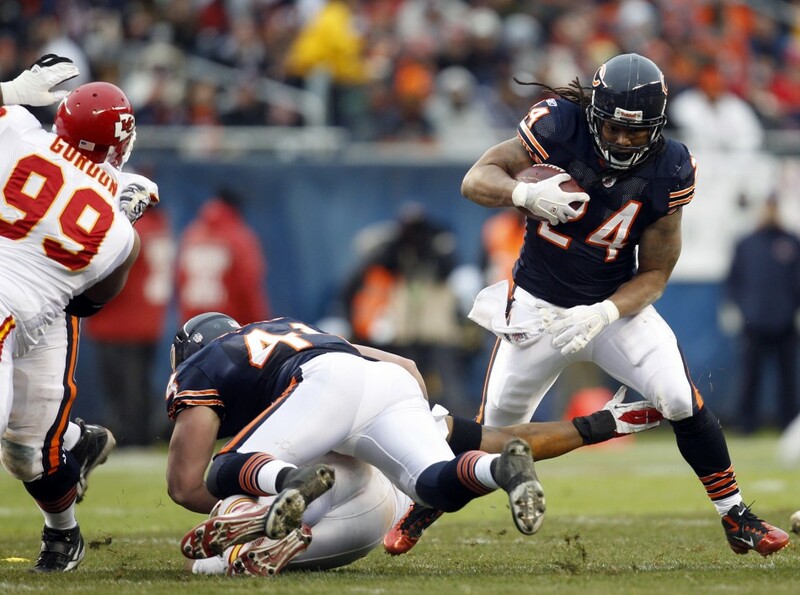 The Chicago Bears announced that they have placed the franchise tag on running back Matt Forte. A second-round pick out of Tulane in 2008, Forte earned a $600,000 in 2011, the final year of his four-year, $3.238 million rookie contract. Forte is reportedly seeking a contract in the $8 million per year range with over $20 million in guaranteed money. The Bears were offering Forte between $13-$14 million in guaranteed money on a multi-year extension during last season. The franchise tag for running backs is projected to be worth $7.778 million in base salary, which would be guaranteed once Forte signs. The Bears and Forte have until July 15 to reach a multi-year extension. In 60 career regular season games, Forte has ran for 4,233 yards and 21 touchdowns with 223 receptions for 1,985 yards and eight touchdowns. Forte suffered a knee injury that ended his 2011 regular season in December, the first games he's missed during his career, but was medically cleared to participate in the Pro Bowl. On the 11th day, the first franchise tag rested. On the shoulders of No. 10. 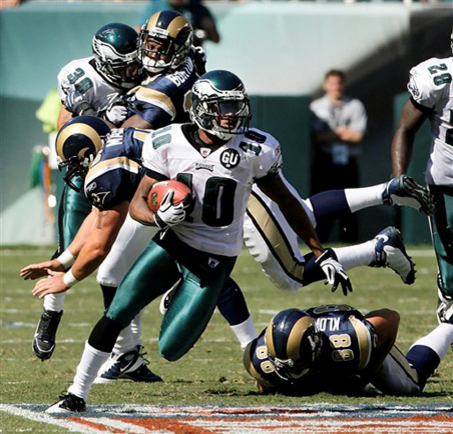 The Eagles announced on Thursday afternoon the placement of their franchise tender on receiver DeSean Jackson. The move comes as no surprise. The Eagles weren’t going to let Jackson walk away without compensation. Now, they can try to trade him to a team that would be willing to give Jackson a long-term deal. Or the Eagles can sign him to an acceptable long-term deal. Jackson’s size and history of injuries (specifically concussions) continue to complicate the assessment of his value. If/when he’s signed to a multi-year deal with significant guaranteed money, the injury risk shifts to the team. Until then, the risk remains with Jackson. With or without a long-term deal, Jackson will be eligible for a one-year, guaranteed contract that will pay him roughly $9.4 million in 2012. The Eagles can rescind the offer at any time before Jackson signs it — a fact worth keeping in mind, given that the Eagles in the past have stripped the tag from linebacker Jeremiah Trotter and defensive tackle Corey Simon. Given that Jackson made only $600,000 in 2011, the final season of a four-year slotted rookie deal for a second-round pick, he should run even faster to sign the tender than he did when he returned that punt against the Giants. The only problem is that, once he signs the tender, he loses his leverage. If he doesn’t sign he’s not under contract and he can hold out. If he signs, he’d be subject to stiff daily penalties if he skips mandatory offseason workouts and/or training camp practices. Of course, with a guaranteed salary of $9.4 million coming, he can more easily afford the fines.